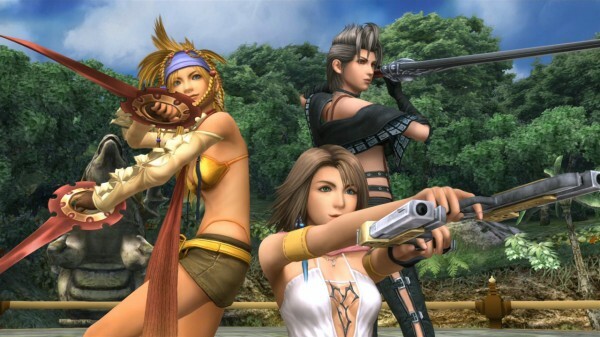 The original Final Fantasy X has been regarded as one of the best games in the series and that is quite a feat considering some of the titles that came before it. Then it was given one of the first sequels in the Final Fantasy line-up with Final Fantasy X-2 which, at least what I believe, featured the pre-cursor to the paradigm shift mechanic in Final Fantasy XIII which was the dressphere system. 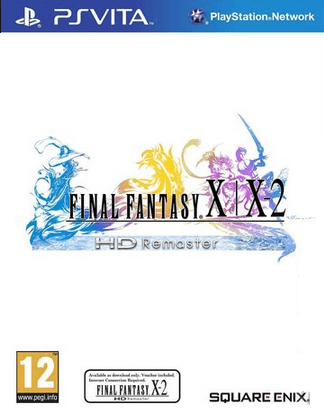 Now both of these titles have been given a fancy new coat of paint and combined with a few extra bonuses not found in the original releases to bring fans Final Fantasy X/X-2 HD Remaster. The question is, how successful was Square Enix in bringing these titles to the modern era? Now as mentioned before, this collection comes with both Final Fantasy X and Final Fantasy X-2 and we will be covering the titles in said order, speaking of FFX first and then covering the sequel in each section. 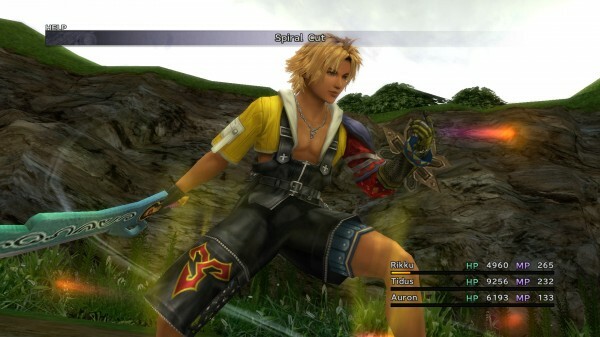 Considering the age of Final Fantasy X, it is expected that most if not all fans of the franchise have likely played it by now but for those who haven’t the story follows Tidus who, after his hometown is destroyed by a monstrous creature named Sin, is seemingly transported into the future where he eventually begins to travel with Yuna, a young summoner preparing to set out on a mission to defeat Sin. Now while the story might seem fairly basic by JRPG standards at first glance, it is far from it. The reason for that is because of how incredible almost every aspect of the game’s story is handled. Each of the characters that players gather into their party are interesting in their own right and are all fleshed out to some degree that it makes them feel like they are all important to the story, not simply side-characters to Yuna and Tidus’ journey. Speaking of those two, love stories in games tend to be corny or unrealistic, and to be fair there are a number of corny moments in Final Fantasy X, the chemistry and the way that the relationship between Yuna and Tidus is developed over the course of the game is absolutely fantastic and a real treat for players. As for the way the story unfolds it is told at the perfect pace with numerous plot twists and reveals that may catch players off guard once again if they forgot about a specific twist here or there. It is worth noting that this release also contains the ‘Eternal Calm’ movie which helps bridge the gap in the story between Final Fantasy X and Final Fantasy X-2 which is certainly a helpful addition and delightful considering we have never been shown in this in North America until now. 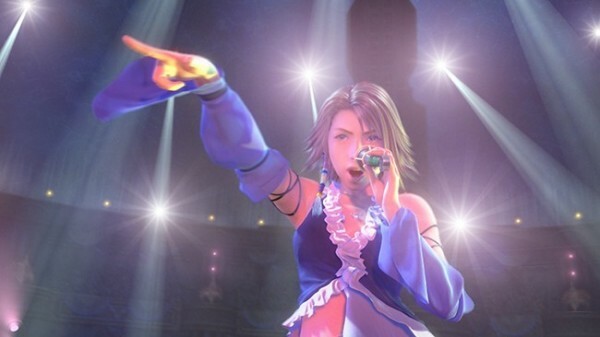 As for Final Fantasy X-2, to not go too much into detail for those who many never have went into the game’s sequel or possibly never played either title, the focus of the story revolves around Yuna, Rikku, and the new character Paine two years after the events of the first game. Unlike Final Fantasy X, this title has a tighter focus and feels far less epic in proportion. Still, the singular purpose that drives Yuna forward and the story presented continues to be enjoyable and seeing how characters have changed over the past couple of years plus the inclusion of Paine and her backstory make it worthwhile even if it can’t stand up to its predecessor. Back when Final Fantasy X was first released it was the pinnacle of the turn-based battle system and that hasn’t changed too much over the years. Sure it might feel a bit aged and slow compared to most turn based systems now, but it still feels incredibly enjoyable to use and was the best around back when it was released. Players will have access to a number of attacks and skills all found through menu screens with Limit Breaks and Summons that can be used throughout combat to always keep things fresh feeling even though the random encounter rate is definitely a bit of a pain. Along those same lines, fighting monsters allows players to make use of the Sphere Grid, or the Advanced Sphere Grid I should say, which allows players to level and customize their characters how they wish as they gather various abilities and stat boosts from the grid. Outside of combat it is worth noting that the exploration factor in Final Fantasy X, and Final Fantasy X-2, remains unchanged but it also means that the camera angles have not been retouched at all which means it can be problematic at times. With Final Fantasy X-2 the combat remains fairly similar on the surface but now players will be able to make use of the Dressphere system which, for those unfamiliar with the game, feels like the Paradigm Shift or better yet, the Schema from Lightning Returns. 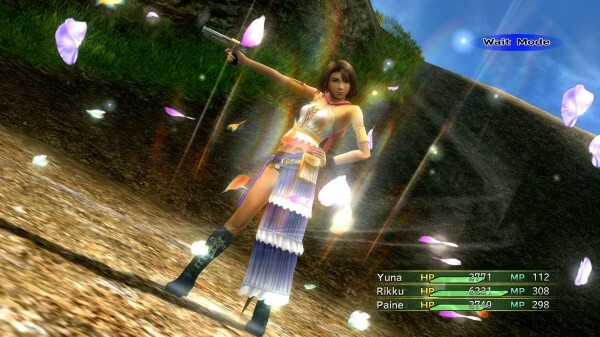 Players are able to switch costumes in combat, with elaborate transformation sequences, to change their classes and wield different skill sets against their foes. This makes for a much more customizable and often random and enjoyable combat experience that offers a similar but faster paced system than FFX. 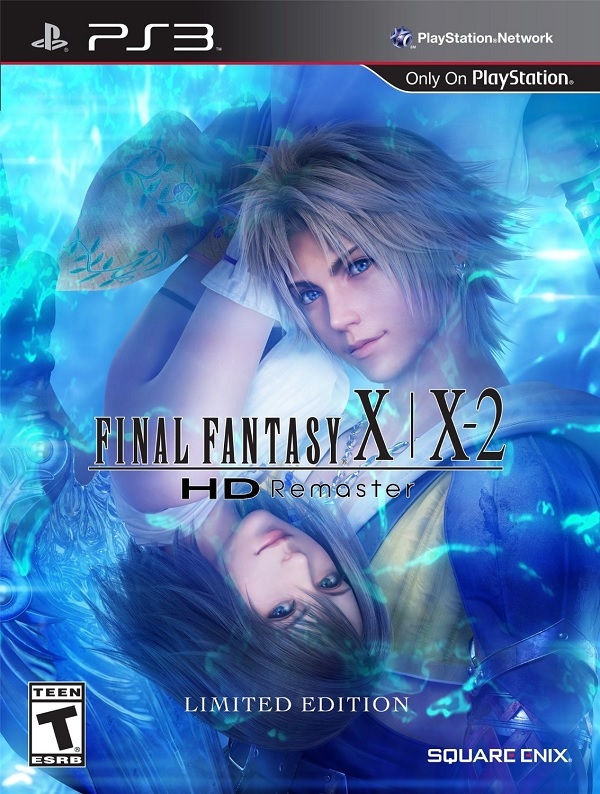 Now for the main reason that many gamers will be looking into picking up Final Fantasy X/X-2 HD Remaster if they already have played these games, the whole “HD Remaster” part. Back when Final Fantasy X was created it was already an impressive looking title on the PS2, but taking a look at what Square Enix has managed to do with the game is quite stunning as they have upgraded nearly every aspect of this game to make it look as amazing as they can. Almost everything in the environment, including the numerous towns in the game, have been revamped with better looking textures and fancier details and the cast of main characters are amazing looking with some nice attention to detail in their clothing, though some of their faces look a bit off at times. That being said, there are some areas where the HD does lose a bit of its luster and this is mostly for unimportant NPCs, but seeing them side by side with the HD looking main characters makes for quite a contrast. As for Final Fantasy X-2 these improvements are even more evident as the character models for the main cast are amazing looking. It also helps that with all of the outfits in the game, and a few new ones in this release, all of them feature great transformation sequences and look wonderful and it is good to see that no corners were cut. It is also worth noting that all of the cutscenes in the game have been remastered as well and while Final Fantasy X had its fair share of great looking scenes, the one worth checking out for sure is the opening cinematic that plays at the start of Final Fantasy X-2. Not only have the graphics been improved but the game’s soundtrack has also been remastered and while this might be a bit of a sticking point for some people who really loved the way some of the old songs sounded, it is evident that the majority of the songs in the game have benefited greatly from the remastering and makes what was one of the greatest soundtracks in the series into what some may consider to be the best. 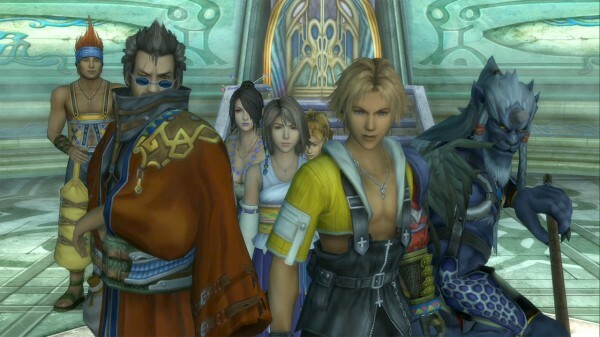 There are a few issues here and there where it looks like Square Enix may have let a few things slip under their radar but for the most part Final Fantasy X/X-2 HD Remaster is everything that a fan of the games could ask for, especially with the new content it contains, and if you haven’t played either of these titles then you really need to pick up this collection as these amazing titles have never looked better than they do right now and if nothing else, Final Fantasy X deserves your attention while X-2 can simply be the icing on the cake.